In the past week, the price of bitcoin rallied by over 15 percent thanks to a significant jump in SegWit adoption. Several major bitcoin wallets and exchange have implemented SegWit in the past few weeks, which has led to a substantial increase in SegWit Transactions. According to data from SegWit.Party, currently around 30 percent of bitcoin transactions are SegWit transactions. Furthermore, Germany has declared purchases made with cryptocurrencies as non-taxable and to be treated in the same manner as fiat currency purchases. This has sent a signal to the crypto markets that upcoming cryptocurrency regulations may not become as tough as previously expected. Greater demand for monero may also be driven by the upcoming hard fork (upgrade) in March that will slightly change the Proof of Work to ensure ASIC resistance and the imminent addition of the altcoin onto Ledger’s hardware wallets. Technical factors also favor a strong performance for XMR-BTC over March. The remainder of the altcoin market traded largely sideways, trying to figure out which direction it wants to take next. This week’s contributions have been provided by Andrew O’ Malley, Liam Kelly, JaketheCryptoKing, Ogwu Osaemezu Emmanuel, Pratik Makadiya, Priyeshu Garg, and Rahul Nambiampurath. The recent SegWit upgrade at major bitcoin exchanges aimed at speeding up transactions is clearly working as intended, with adoption reaching new highs and doubling in under 48 hours to above 30 percent of all transactions. The popular Bitcoin Core 0.16.0 software upgrade, released on February 15, 2018, had started the rollout for full SegWit support in the wallet and user interfaces. August 2017 saw the SegWit release, but it was only after these recent upgrades that it began to gain some traction. The number of SegWit enabled transactions have increased recently as some key service providers and cryptocurrency exchanges have integrated support. According to data available at SegWit.party, there has been an increase pushing the transaction proportion to more than 30 percent over the Bitcoin network. Consequently, the higher utilization has led to a decrease in the number of pending transactions in the mempool. As there is less pending workload on the network, it has also led to a significant decline in transaction fees. The German Federal Ministry of Finance has released a report on Tuesday, February 27, outlining taxable events regarding bitcoin payments. Specifically, the financial authority looked into how to tax miners, cryptocurrency transactions, and the taxable role that exchanges play in the ecosystem. Whatsmore, the document based these statements on the contents of the European Union’s VAT directive. 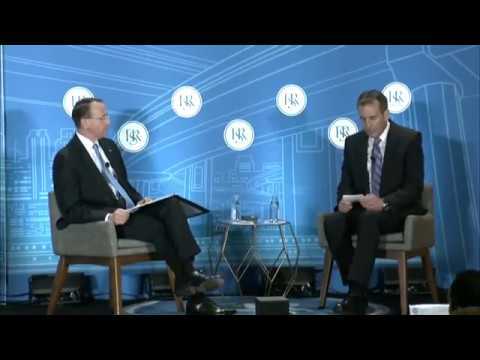 On Tuesday, February 27 that the United States Deputy Attorney General Rod Rosenstein was speaking at the spring conference for the Financial Services Roundtable in which he outlined what sort of approach the current administration would be taking when it comes to cryptocurrency. It was during the Q&A towards the end of his speaking allotted time that a member of the audience asked him about what he thought of both cybercrime and cryptocurrency. He started his response by referring to the cybercrime portion of the question, and he noted that there was a new task force setup up in the third week of February 2018 that will be focused on creating strategies for dealing with tech-related crime. This task force was set up by the Justice Department. Luxury automobile manufacturer Porsche has teamed up with Germany based start-up XAIN, to become the first automobile manufacturer to test blockchain technology applications directly in their vehicles. In June 2017, the Berlin-based AI firm won the first “Porsche Innovation Contest” beating 120 other startups. Following the contest, XIAN and Porsche team worked for nearly three months on the blockchain pilot program. Although Porsche did not mention what blockchain network it was working with, XIAN’s technology stack is based on Ethereum blockchain. As stated in a Porsche press release issued on February 22, 2018, so far the company has piloted blockchain technology for locking and unlocking cars through an app, parking, encrypted data logging and temporary access authorizations. The car manufacturer is also optimistic that the digital ledger technology will improve driverless car functions. Since its inception, Bitcoin has been envisioned as a global currency, however, over time it has also become an excellent store of value, similar to how we think of precious metals. It is also because of this latter, latent characteristic, that developers have spawned other virtual currencies that function exclusively as a speedy means of payment. Camp revealed that he has been working on his new cryptocurrency that will become a global digital currency to be used for day to day transactions. He also points that his “ECO” cryptocurrency will not face technical challenges that leading tokens like bitcoin and ether face. Apple co-founder Steve Wozniak, speaking at the Global Business Summit 2018 in New Delhi, revealed that he was defrauded by credit card fraudsters costing him seven bitcoins. Recently, the technology entrepreneur mentioned that he had sold all his bitcoins when the cryptocurrency reached the $20,000 milestone in December. Interestingly, the fraudsters employed a relatively old trick: They used a stolen credit card to swipe the bitcoins from the tech wiz. At the current price, the seven stolen tokens would be worth about $77,000. Nevertheless, the tech veteran is still a bitcoin and blockchain technology proponent. As the first bank in Liechtenstein to allow cryptocurrency investing through their platform, Bank Frick has made a momentous decision in the world of cryptocurrency trading. Many banks have classified cryptocurrencies as a speculative investment and not one they want to be involved in, for example, in India and Brazil, but Bank Frick has changed the tides here. The goal for this European bank is to position themselves as a forward-thinking bank that can make significant changes while still abiding by the regulatory framework. Bank Frick has previously been active in allowing crypto-based products, but this move removes one more intermediary, so it is just the banks in between the cryptocurrency and the investors. Originally, they were the first bank in Liechtenstein to allow for basket investing in cryptocurrencies, in partnership with Bitcoin Suisse. These baskets have experienced significant gains in the meantime, but Bank Frick is still quick to say that investors should be cautious with speculative investments. The bank’s services are currently in demand all across Europe, and this will strengthen as their adoption of cryptocurrencies catches on. Cryptocurrency investors in Australia will now be able to purchase bitcoin and ethereum in-store from over 1,200 newsagents spread throughout the country. All they will need is a minimum $50 investment in cash, a phone number, and an email ID. The new initiative was rolled out by the crypto exchange bitcoin.com.au following extensive preparations going all the way back to mid-2016. Over the past one-and-a-half years, the company has laid out a network of in-store crypto buying infrastructure across the country. According to Rupert Hackett, Chief Executive at bitcoin.com.au, the availability of cryptocurrencies in physical stores will help them gain the trust of many consumers – especially the first-time investors who had been on the borderline because of trust issues emanating from the digitally-exclusive availability of cryptocurrencies. The post Bitcoin Rallies Thanks to Jump in SegWit Adoption: Week in Review Mar. 6 appeared first on BTCMANAGER.